Caribbean Beach is a Disney Moderate Disney Resort that will make you feel like your in the tropics.One of the special features of this resort is the Caribbean Beach Resort Pirate Rooms!. 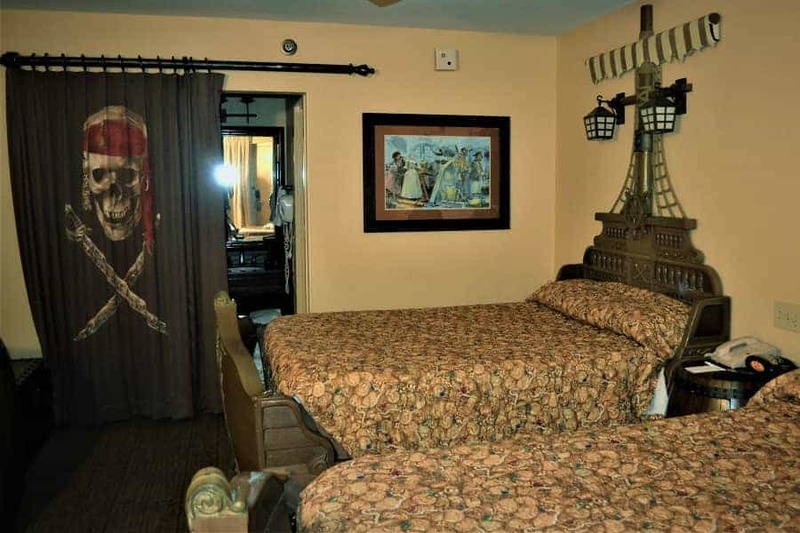 These rooms are a little more pricey than the traditional room at Caribbean Beach Resort, but worth it if you want a one of a kind experience fit for a pirate! The Pirate Rooms are filled with furniture you might find on a pirate ship. 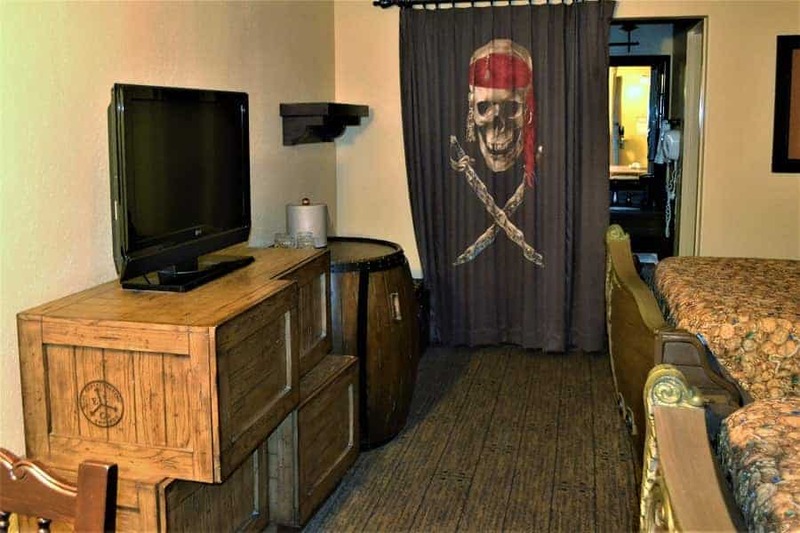 The beds are designed to look like a ship, the floors appear to be wooded beams, there are barrels,a treasure chest, and even a Jolly Roger on the curtain. The bathroom’s in the Caribbean Beach Resort’s Pirate rooms are just as impressively decorated. The colors are rustic and earthy. The shower curtains features different pirate ships. 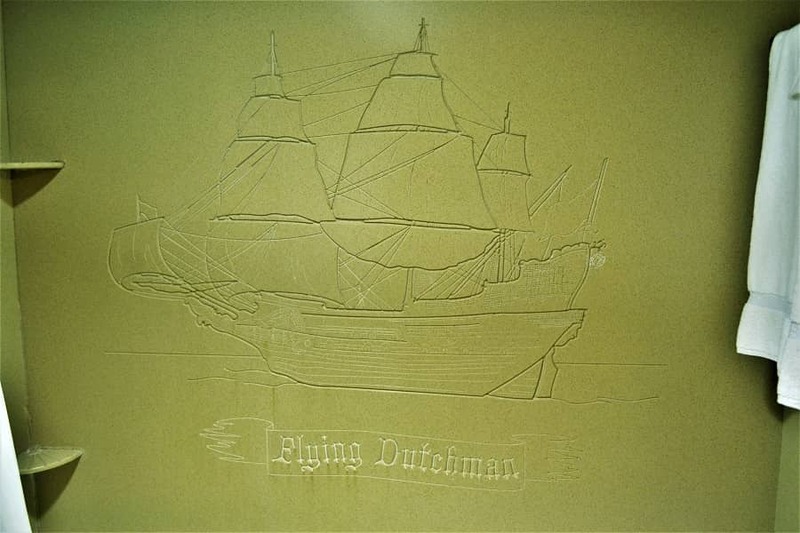 The shower even has an inlay of the Flying Dutchman. 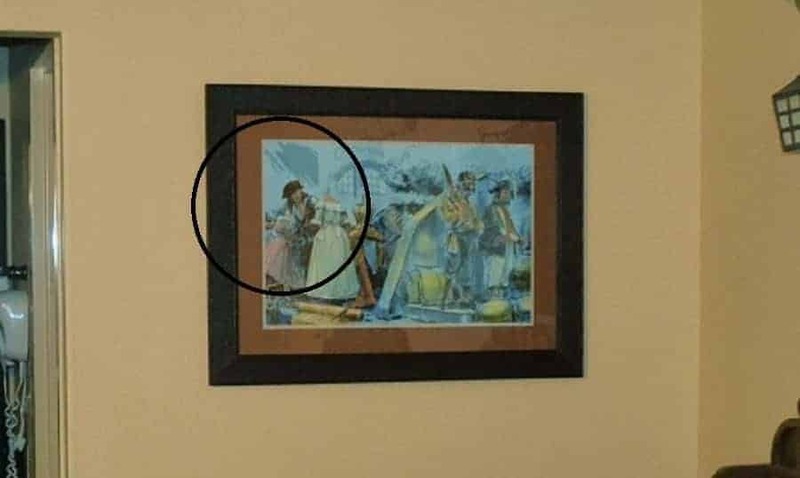 I’m not sure if all rooms have the same picture, but who wouldn’t want to fall asleep looking at Jack Sparrow (Johnny Depp)? Overall, I really loved staying in the pirate room. The rooms was clean and comfortably sleeps 4. The main drawback of the Caribbean Beach Resort Pirate Rooms is that they seem to be located in the farthest most point of the resort. This means you cannot easily walk to the main pool, restaurants or the gift store. You will have to rely on a car OR the bus line. There is an in-resort bus that will take you from your village to the Port Royal (where most everything is located), but it is a bit inconvenient to have to rely on a bus..
Have you stayed in the Pirate rooms? What did you think? I came over from the Chain Linky CLIMB and surly will back. We hope to get the opportunity to go in 2016. Our Grandson will be 6 and we hope that is the magical age for him to discover the wonders of Disney. Thanks for sharing all your tips. Awesome information. Hope to see you stop over at my blog sometime.